by Arthur Pait, AVer Information, Inc.
Modern day businesses need to incorporate videoconferencing into their repertoire – whether it be for the rise of satellite employees or to speak with a client. It’s not as common (or necessary) to meet face-to-face anymore with new technology, however, technology still poses its pitfalls. Make sure to measure how large your conference room is. Some VC solutions have a wide-angle lens but no optical zoom made for small huddle rooms. Others have a much larger optical zoom to reach large group settings. If you have a room that is 20×20 ft or larger, it is better to look for one with a lens angle of 70 degree or wider angle and 10x or more optical zoom. Each audio system has a different area in which it can reach. Look into VC solutions that have a daisy chain capability. This allows you to connect an additional speakerphone for double the coverage. Some manufacturers include a 72-hour advanced replacement program in which they will fix a product that has been damaged in the first year. Also look for video conferencing systems that have the longest warranty periods. These added services shouldn’t be overlooked as they’ll save you money and give you peace of mind that your VC system is covered if anything unexpected were to happen to it. Check which country a manufacturer’s technical support is provided in. Free technical support located in your country/region is always best. 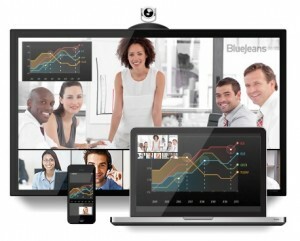 Camera presets can make transitions in video conferencing seamless. Make sure to check how many presets come with the video conferencing unit you’re about to purchase. There are different ways to video enable your conference rooms. If your company plans to use different communication apps and likes to go the native route, a professional plug-and-play USB conference room camera and speakerphone is a good choice. Look for speakerphones with a microphone array (usually more than two microphones inside the speakerphone). It can help mitigate variations in a room’s setup and works where the normal speakerphones may fail, e.g. conference room completely surrounded by glasses. If your room has back lights (the camera facing a window with direct sunlight) or if you plan to use projectors in the room, make sure that the camera has a fast F stop – which means it can shoot under low light conditions and fast movement – and backlight compensation. Make sure the video conferencing system you choose has TRUE full-duplex audio; otherwise it will be like using a walkie-talkie on your video conferencing calls. When pricing your VC system, be sure to check for any required annual support/maintenance fees. These fees can get very expensive quickly and should be factored into the total cost of ownership for your VC system. Arthur Pait is the co-founder and President of AVer Information Inc. Americas, currently overseeing USA, Canada and Latin America operations. 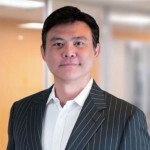 Arthur has been instrumental in driving the company to the forefront of the Education and SMB markets through the heavy focus on innovation, exceptional customer service quality and strong channel partnerships. AVer recently released its brand new VC520 Video Conference Camera. For more information, visit www.averusa.com.